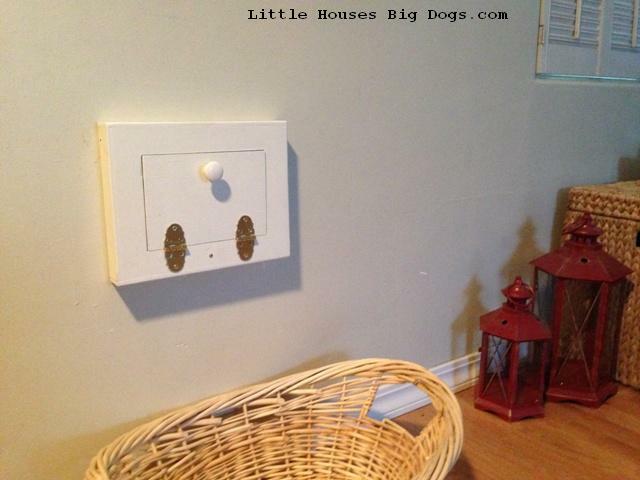 Is your Mail Slot ready for the holidays? Oh yes, that’s a freakin towel shoved up our mail slot! Not trashy at all right? 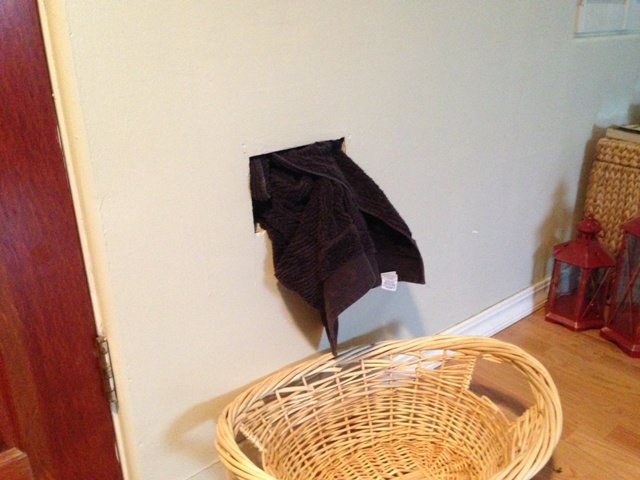 Well this is where I had to agree with hubby, the mail slot was creating a decent draft in our living room, so the towel stayed. 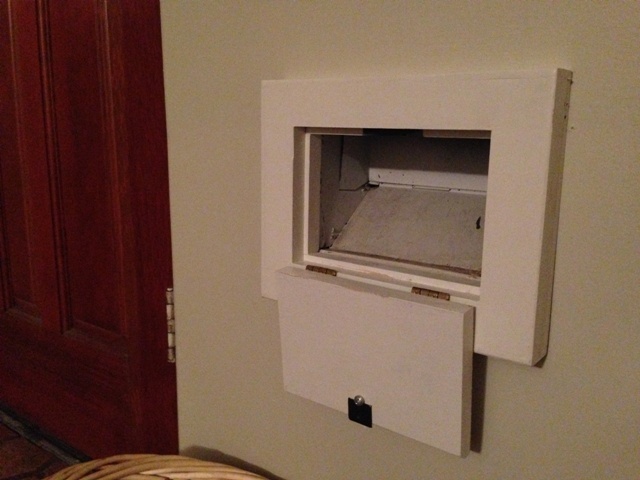 Luckily my awesome father in law created this lovely mail slot cover with door. It acts as a fabulous draft barrier against the winter chill and covers up the ugliness. (We’ll have to post his How to on the project page soon) Ultimately this little gift from the father in law made the hubs very, very happy. Whats even better is that it looks original to our mid century home. Then during the roof “house arrest” a very bored wife installed the mail slot with glue, a few nails and silicon sealant around the edges. 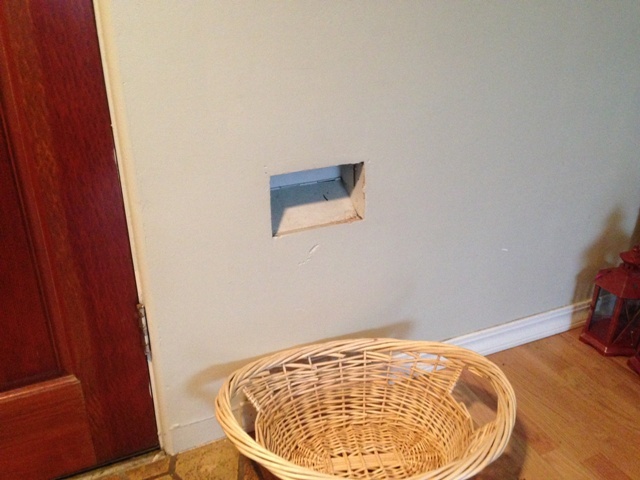 Thanks pops in law for a fabulous alternative to the towel, and now a Christmas card worthy mail slot! This entry was posted in Uncategorized and tagged DIY mail slot cover, interior mail slot draft barrier, Letter box, mail slot cover, mail slot draft barrier by Tandra. Bookmark the permalink.